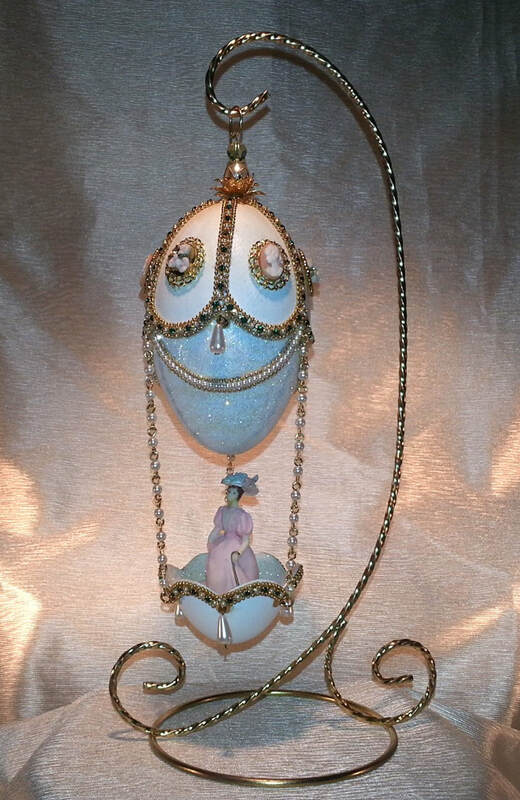 This elegant Victorian balloon egg is made from two goose eggs and attached by a white pearl and link chain. 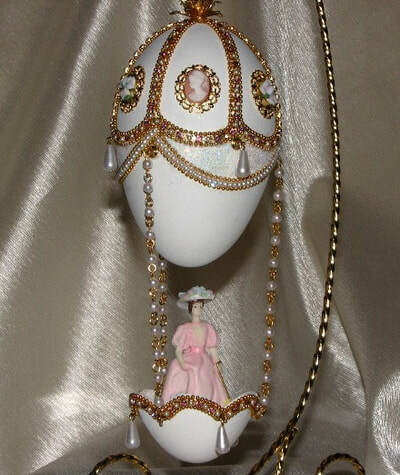 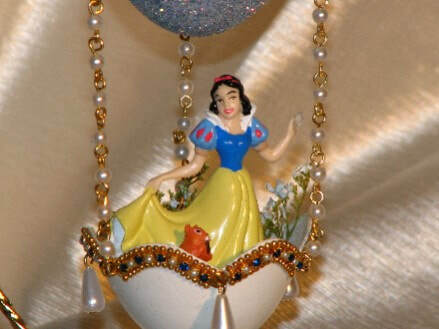 The top of the balloon is enhanced by roses and cameos and decorated with an alternating pearl and rose colored Austrian crystals chain. 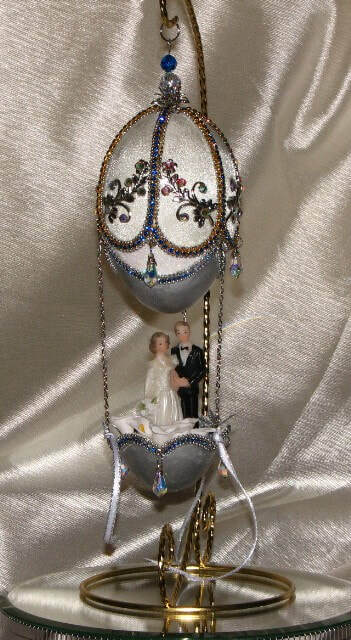 A pearl and crystal top is added to support this elegant balloon. 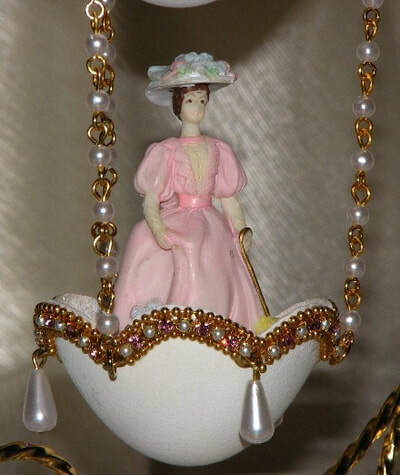 Tear drop pearls compliment this Victorian design. An elegant lady takes a ride in the basket to complete this hot air balloon design. 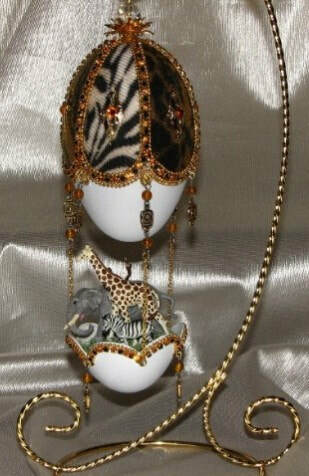 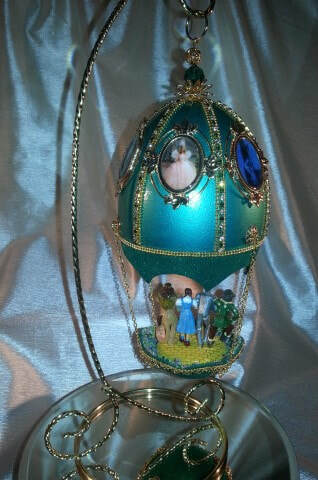 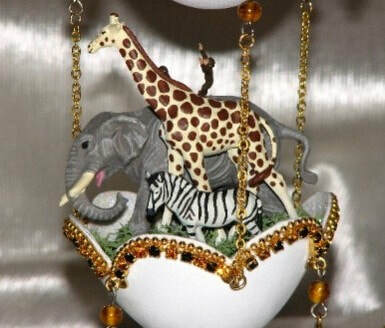 ​These friends are finding their way back home in this African themed egg. 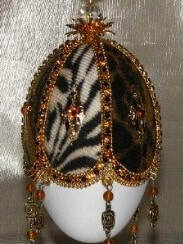 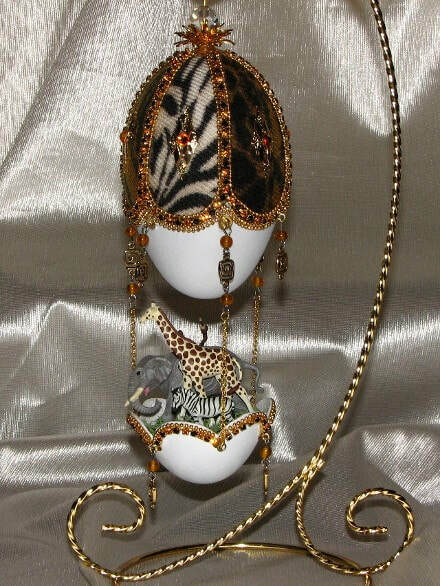 This design is created with African animal prints around the top half of the egg, surrounded by an Austrian jeweled chain of black and topaz. 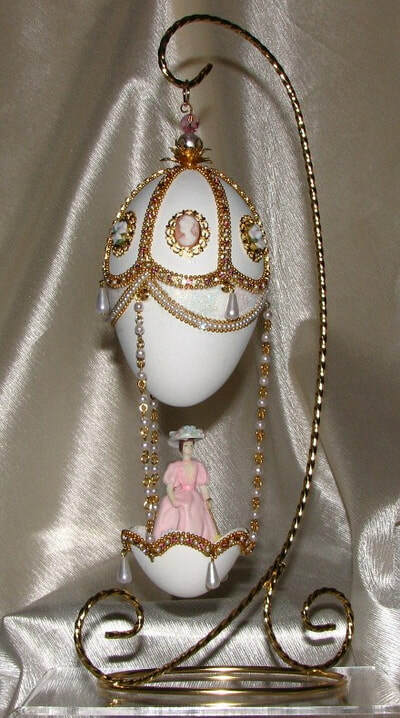 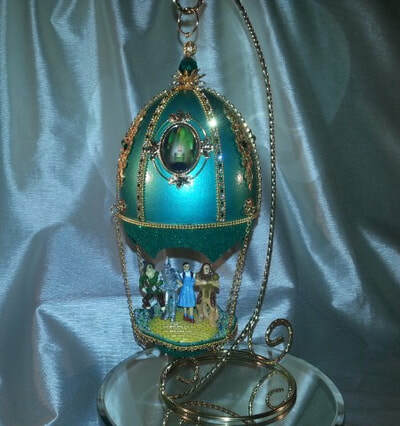 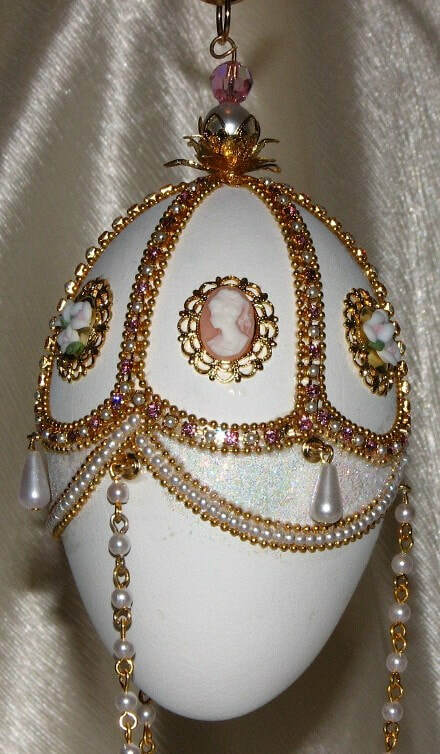 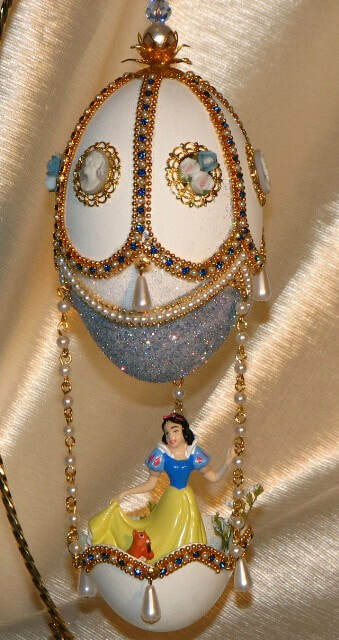 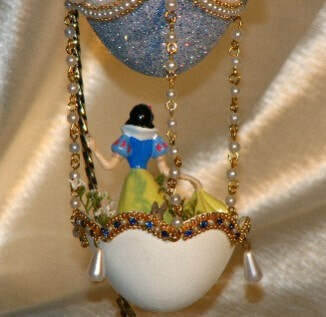 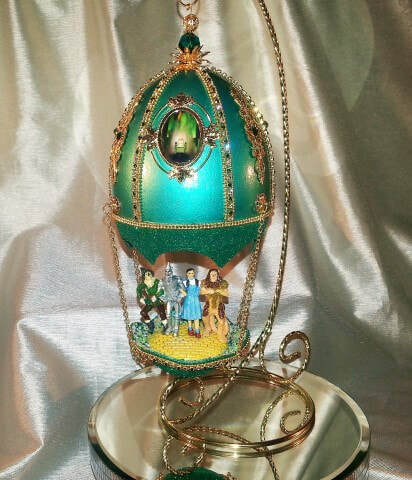 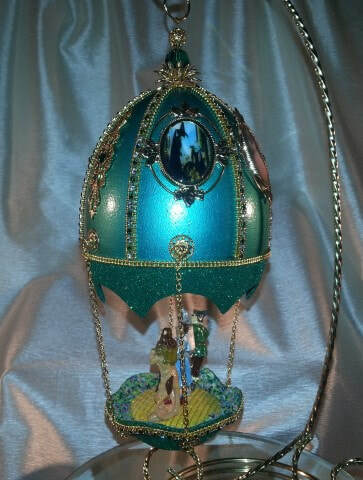 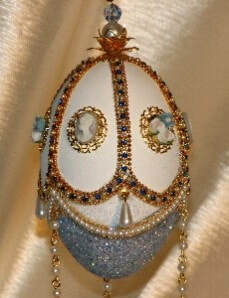 A finial top of gold filigree and a clear crystal supports this hanging egg. 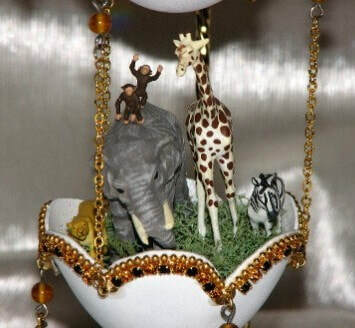 The Preiser miniature animals are hand painted giving them their own uniqueness and style. 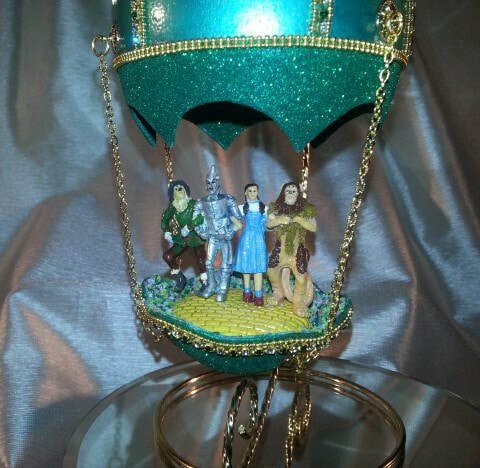 The basket is attached to the balloon by gold link chain, and accented by additional beaded and jeweled chain, to support our friends on their journey back home.